Broccoli florets contain low levels of 3-methylsuphinylpropyl and 4-methylsulphinylbutyl glucosinolates. Following tissue disruption, these glucosinolates are hydrolysed to the corresponding isothiocyanates (ITCs), which have been associated with anticarcinogenic activity through a number of physiological mechanisms including the induction of phase II detoxification enzymes and apoptosis. 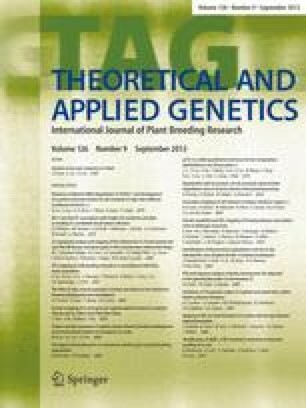 In this paper, we describe the development of ITC-enriched broccoli through the introgression of three small segments of the genome of Brassica villosa, a wild relative of broccoli, each containing a quantitative trait locus (QTL), into a broccoli genetic background, via marker-assisted selection and analysis of glucosinolates in the florets of backcross populations. Epistatic and heterotic effects of these QTLs are described. The ITC-enriched broccoli had 80-times the ability to induce quinone reductase (a standard assay of phase II induction potential) when compared to standard commercial broccoli, due both to an increase in the precursor glucosinolates and a greater conversion of these into ITCs.